How would I describe a perfect dream?? 4. And having a pair of unbelievably super gorgeous and dreamy shoes like this! So, what's your perfect dream? that last pair of shoes is so gorgeous!!! wow this is an absolute dream that i could only wish would come true!!!!! omg! Shoes are such an addiction! I dream to own a shoe company! HELL YEAH to the shoes closet!!! OMG! Khloe Kardashian's Shoe Closet is every Girl's dream! my dream will be the same as yours anassss!! i would kill for khloe's shoes closet!!! Shoes are the one thing I wouldn't mind emptying my wallet on. And I can' get enough of those spiked heel pumps. Total eye candy. Omg! Love the last pair of shoes! They are incredible. I really love shoes too<3! That would be one awesome dream. wow! that would be my dream tooo!!! gosh!!!!!! I totally agree! I would describe it the same!! 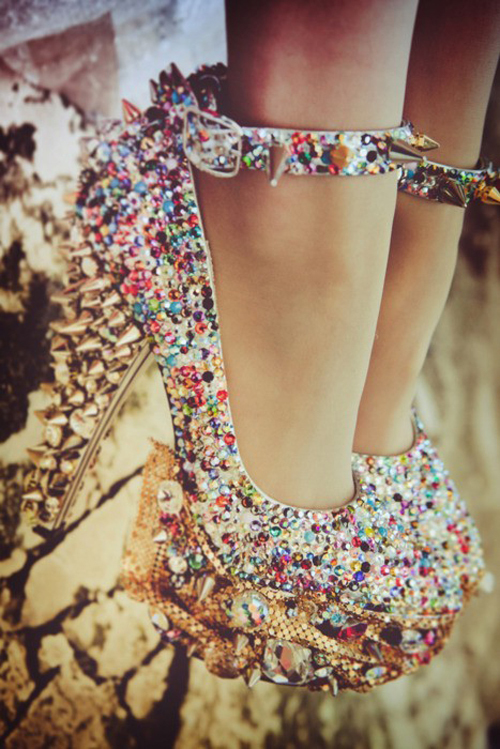 love these photos... really amazing shoes on the last photo, do you happen to know who's they are?... I'm in love! You are my dream Ana. i totally agree!!!! love KKs closet! OMG.... agree! I wouldn't want to wake up too, but better if this becomes reallity! LOVELOVELOVE THIS IS A GOOD DREAM. Just to be happy and healthy. That is a wonderful dream! They look so delicious! I've ordered some macaroons and am picking them up tomorrow after uni! I literally can't wait!